Mac Miller, Pittsburgh Rapper And Producer, Dead At 26 Miller died of an apparent overdose in Los Angeles on Friday. The rapper had publicly battled with substance abuse throughout his career. Mac Miller, seen here at NPR headquarters in August, died Friday at the age of 26. Mac Miller, the Pittsburgh-born rapper who developed a ravenous following over the course of five successful albums, died Friday of an apparent overdose in his Los Angeles home, multiple outlets have reported. He was 26 years old. He was found unresponsive in his home in the Studio City neighborhood of Los Angeles late Friday morning and was pronounced dead at the scene, the Los Angeles County coroner's office confirmed to NPR, though the office said an autopsy was pending and said an official cause of death had not yet been determined. Born Malcolm James McCormick in Pittsburgh, Mac Miller had a string of hit albums reach the top ranks on the Billboard 200. His 2011 debut, Blue Slide Park, reached No. 1 on that chart, followed by 2013's Watching Movies with the Sound Off (No. 3); 2015's GO:OD AM (No. 4); 2016's The Divine Feminine (No. 2); and, released just last month, Swimming, which reached No. 3 on the Billboard 200. He was also a skilled producer under the alias Larry Fisherman. Mac Miller openly struggled with substance abuse, which he documented throughout his mixtapes and albums. (On the song "Loud," he said "Yeah, people lie, numbers won't ... Keep me high, drugs is close ... Roll one up, pour a cup ... Watch the world go up in smoke.") Last month, the Los Angeles City Attorney's Office reportedly charged the rapper with a DUI in the wake of a May car accident, which came after a highly public breakup between him and singer Ariana Grande. 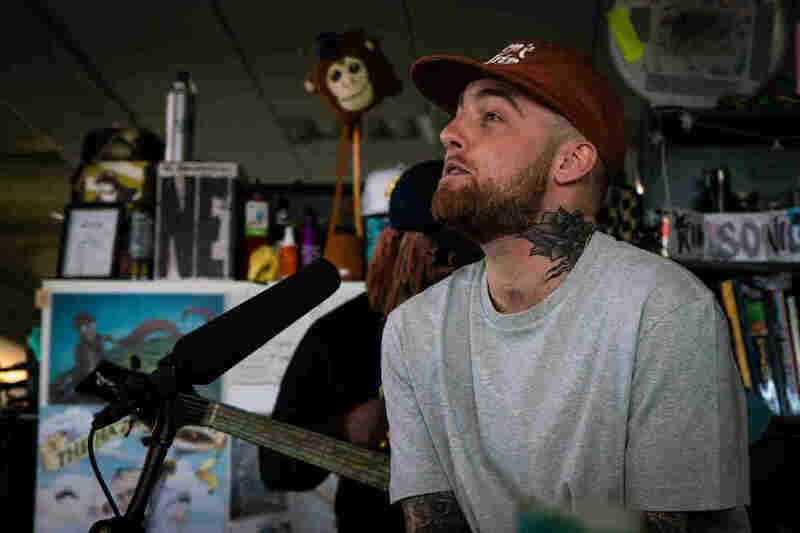 At a Tiny Desk concert taped last month for NPR Music, he performed three tracks from Swimming for the first time in front of an audience. "I may trip, but I never fall," he rapped in the song "Small Worlds." "God knows, I came close — don't try this at home." The day before Mac Miller's death, Vulture published a profile in which he addressed his relationship to fans and friends alike: "The people that have the best chance of knowing me, that would like to, would just be by listening to my music."